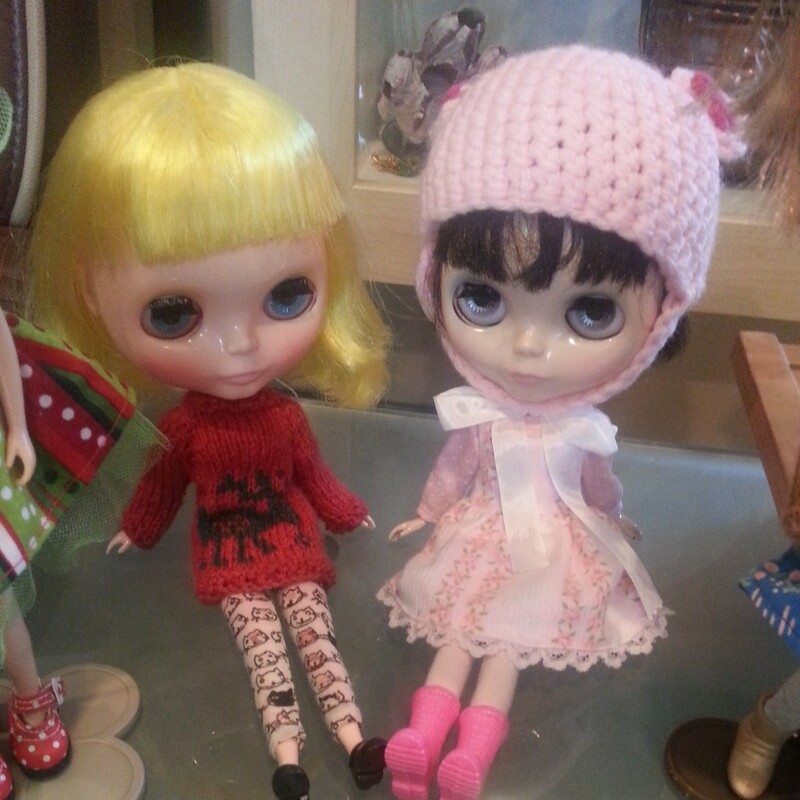 I found this terrible problem with hats, and I’m not sure if I’m just putting them on my Blythe’s incorrectly or if this happens to anyone else. See, one of my dolls (Eden, if you must know) is always wearing a pink mouse helmet. She wears it 24/7 and is a doll in it (pun intended). But she has bangs and I found that over time (umm, years), her bangs had started to separate in the middle. I tried to rearrange her hat and it didn’t help. So I had to break out the plastic band (that new-in-box dolls come with) in order to tame her wild bangs. Poor thing needs to put up with me not knowing how to care for her noggin of hair! Could it be that I’m just incapable of putting hats on dolls? Or is this something that you have maybe encountered as well? QOTW: Ratio of Bangs or No-Bangs? Nope, I’ve found that too. Which is why I don’t leave any of my girls in a hat beyond a day, or even half a day! Synthetic hair especially kinks and can be difficult to restyle. Ah, hat hair T_T It happens to us all! I find head bands, clips, and really any type of thing will leave dents in their hair, but with a gentle brushing and a few days, my girls’ hair doesn’t show signs of the suffering anymore!